For years, Robert Kiyosaki has firmly believed that the best investment one can ever make is in taking the time to truly understand how one’s finances work. Too many people are much more interested in the quick-hitting scheme, or trying to find a short-cut to real wealth. As Robert Kiyosaki has preached over and over again, one has to truly under the process of how money works before one can start out on trying to escape the daily financial Rat Race. o How to increase your money — how to assess what you’re really worth now, what your prospects are, and how to start mapping out your financial future. o How to budget your money — everybody wants to live large, but you have to learn how to live within your budget. Robert Kiyosaki shows you how you can. o How to leverage your money — as you build your financial IQ, knowing how to put your money to work for you is a crucial step. 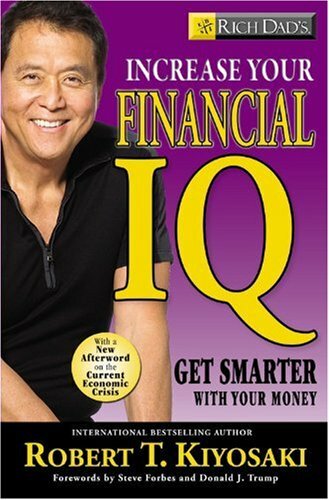 o How to improve your financial information — Robert Kiyosaki shows you how to accelerate your wealth as you learn more and more.